The information below has been compiled from various sources, including residents, developers, government officials, newspapers, government documents, etc. To the best of our knowledge, the information noted below is accurate. 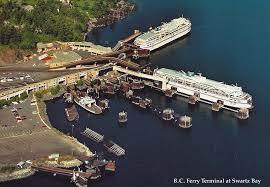 The earliest inhabitants of the area around Hatch Point were the Cowichan tribes. Their territory centered around the Cowichan River and estuary. In 1859 Oliver Wells, a colonial surveyor first charted the land. But, because it had poor agricultural potential it was not sold for many years. The land was christened “Hatch Point” some time during the 19th century when a wooden hatch cover from an unknown sailing vessel was found along the shore. Hatch Point was part of the substantial land grant made at the turn of the 19th century by the Dominion Government to Robert Dunsmuir who was Vancouver Island’s coal baron. In return for the grant, Dunsmuir built the Esquimalt and Nanaimo Railway. Until the early 1950’s Hatch Point remained wilderness. Then Mr. A.J. Ratcliffe of Cobble Hill came on the scene. He purchased the land and harvested trees. 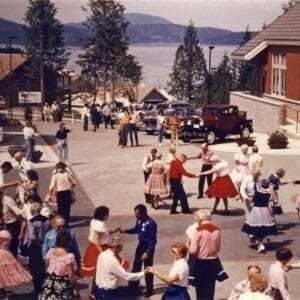 In 1958 Mr. Ratcliffe sold the land to the Cowichan Copper Company (“CCC”). CCC built a deep sea loading dock at Hatch Point, with longshoremen tying cargo freighters to a large cedar tree located on the property. CCC used the dock to ship copper concentrate from its mine located near Jordan River, on the west coast of Vancouver Island. 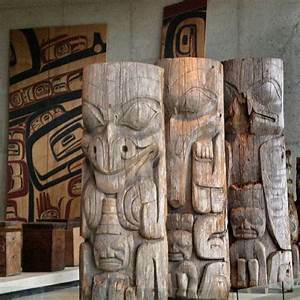 Earliest inhabitants of the area were Cowichan Tribes. 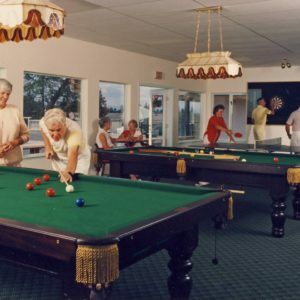 Patrick Family purchased the land with a vision to develop a retirement community in 1973! 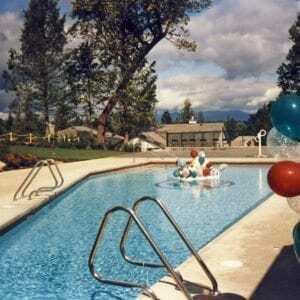 In 1973 the Patrick family of Vancouver purchased the property from CCC. The purchase included 285 acres of land right up to the present day Manley Creek Regional Park, as well as the dock loading facility. Around 1976 the Patrick family leased the property and use of its dock loading facility to Thompson Ready Mix Company (“Thompson”) of Vancouver. The land contained large gravel deposits and Thompson built a small rock crushing plant on site and then shipped the gravel to its concrete plant in Vancouver. The rock crushing plant was situated where Chevron Oil now has its product storage facility. Hatch Point gravel was used in many projects including the construction of the Swartz Bay Ferry Terminal. 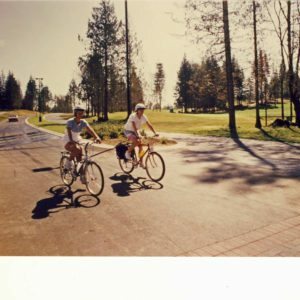 CRC was incorporated in 1980 to build the Arbutus Ridge Community…. 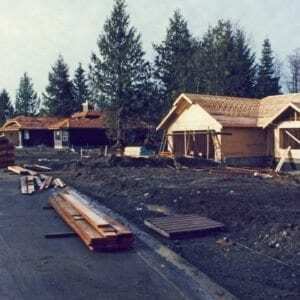 In the early 1980s Patrick incorporated CRC Canadian Retirement Corporation (“CRC”) a company with the sole purpose of designing and building the community of Arbutus Ridge. The project would include its own water and sewage treatment plant, underground services, paved roads with lighting, 24 /7 gated security, R.V. and marine facilities, a nine hole golf course and other amenities. By the time CRC actually started selling lots it was already 17 million dollars in debt, due to the costs associated with building the Village Square, the five display homes, as well as installing the roads and all other services. As a condition of rezoning approval by the Cowichan Valley Regional District (“CVRD”), CRC agreed to acquire and dedicate a four acre waterfront parcel adjacent to Manley Creek, north of the proposed Arbutus Ridge property, as a park dedication. Since developed as “Manley Creek Regional Park”, this property continues to form part of the CVRD’s regional park system. 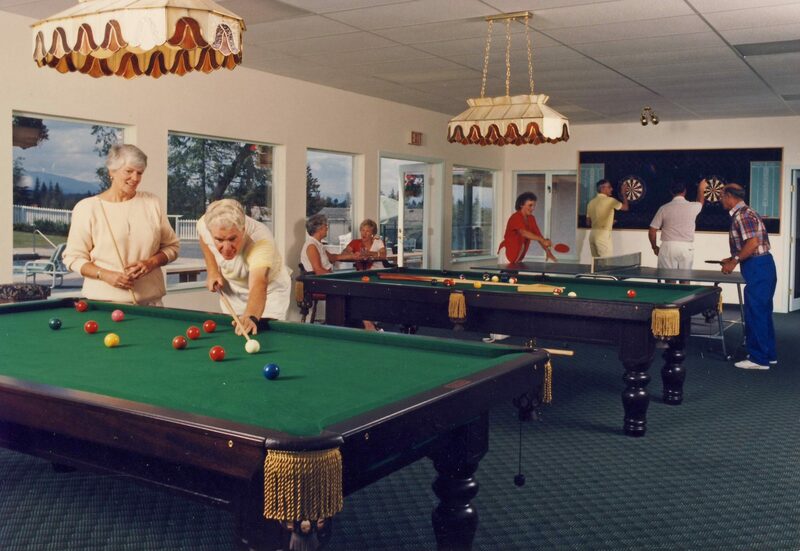 Arbutus Ridge was modelled after the successful SunCity Retirement Communities of the U.S.
Around 1983 Jim Patrick (head of the Patrick family) started researching the need for large senior / retirement communities in Canada, similar to the Sun City retirement community in Arizona which eventually defined successful retirement in the 80’s. For many years the Patrick family had an A frame cabin located at Hatch Point (now called Hatch Point Road). There use to be a large Arbutus tree on Hatch Point, which had a rope swing that the Patrick children loved to play on. 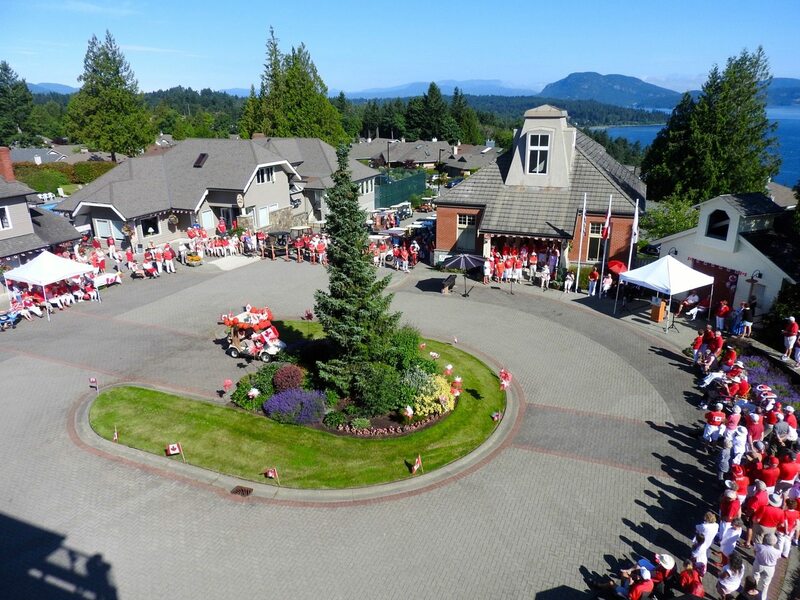 In addition, there were numerous Arbutus trees on the slope and at the top of the hill over looking the Satellite Channel…….right in front of the Village. 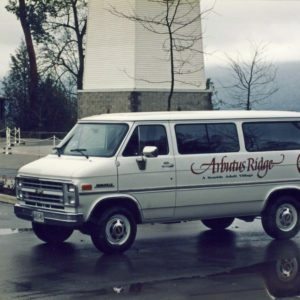 Other names like “Hatch Point” were considered for the community name, but eventually the name “Arbutus Ridge” seemed to be a natural and was selected by the developer. 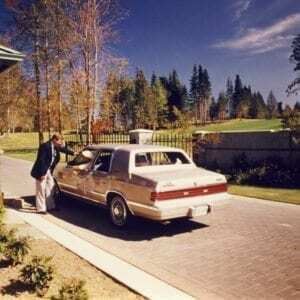 CRC broke ground in 1984 – 85 and the first house was sold in 1987. 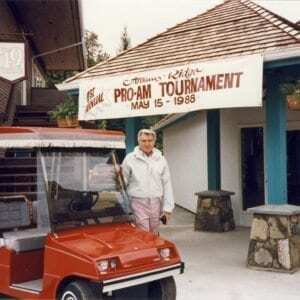 The official Grand Opening was held on March 13, 1988. In order to maintain consistency within the community, the original plan called for one builder to build all buildings and houses. 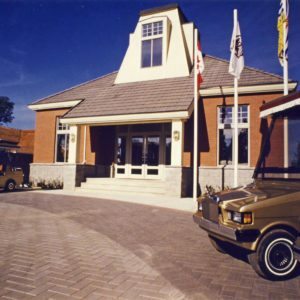 While over the years other builders have been involved, the vast majority of buildings and houses in the community were built by John Tidman Construction. Strata Plan 1601 was incorporated as a bare-land strata in 1987. The strata plan filed at the time of incorporation included a plan for 679 lots to be registered in phases. The community, now in its completed form, comprises 3 commercial lots and 643 residential lots. 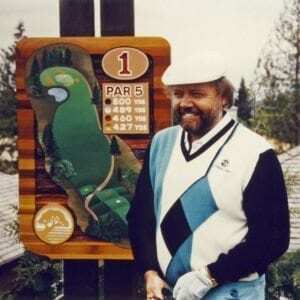 Bill Robinson, who is well known for his golf course work in Canada, designed the course. Construction commenced on March 17, 1987 and the first 9 holes officially opened in 1988. At that time, the present day cafe in the Village Centre was the Pro Shop and what is now the 12th tee, was the 1st tee. 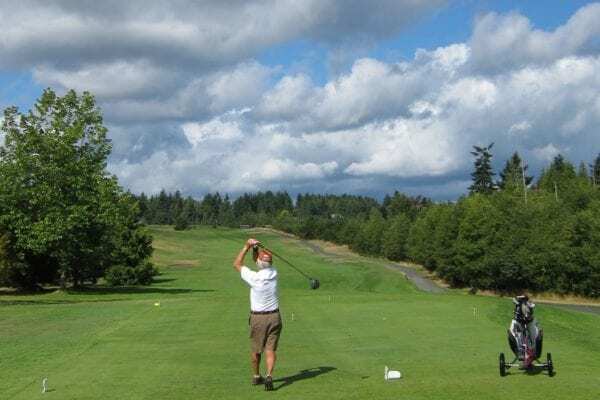 The original plan for the community included an option for the owners of Strata Plan 1601 to purchase the golf course when the development was completed. In 1989 CRC (the developer) re-configured the original plan to allow it to build an additional 9 golf holes. In agreeing to this idea, CRC shelved the plan to turn the course over to the owners at completion, a decision that upset some of the residents. Expansion of the golf course required the acquisition of more land. CRC obtained the Decker land across Ratcliffe Road, which was mostly pasture and is now called Arbutus Ridge “Uplands”. It accommodated three additional holes along with a new clubhouse. Other land was obtained by leasing pasture from the neighbouring Cameron family, and it now comprises holes 4, 5, 6 and part of the 7th fairway. In 1990 the 18 hole golf course and clubhouse were completed, and Arbutus Ridge Golf Club officially opened for 18 hole play in 1991. The course is now a 6,152 yard, par 72, semi private course owned and operated by Golf BC. In 1988 an RV and boat parking area was created on an available portion of utility land, and it continues in use today. 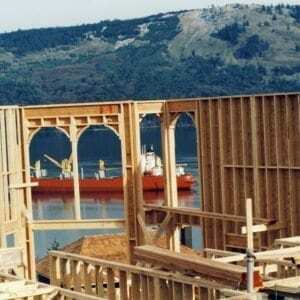 In 1990, CRC set up the Arbutus Ridge Development Partnership (which included CRC itself), and raised 8 million dollars by selling shares in the Partnership at a price of 5 thousand dollars each. The money raised was used to pay off the bank that help fund the initial start up costs. The original dock that was installed in 1988 was a wooden float purchased from the Vancouver Expo 86 site with four large propane storage tanks that provided basic wave protection. In 2018 a 1.5 million dollar marine facility (shown), replaced the original dock and breakwater. In 1991 the covered tennis courts at the golf course were completed. In 1994 Jim Patrick retired. He now splits his time between BC and Hawaii. 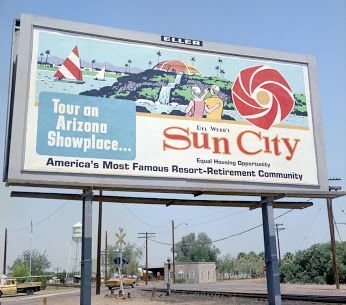 The Community was offered the opportunity to purchase the golf course in 1994, however, owners at that time turned down the offer and relinquished their option to buy the golf course. 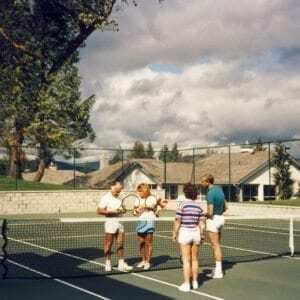 The “tennis bubble” remains part of the golf club, separate from Strata Plan 1601 facilities. with the formation of an Advisory Council, followed the next year with a fully elected Strata Council. The community continues to managed by a staff (paid) of 4, plus a 7 member Strata Council (all volunteers). Councilors are elected annually at the community’s AGM. As Arbutus Ridge is now virtually built out, CRC and Burrard are no longer involved in the community. Arbutus Ridge Seaside Community is totally owned and run by the owners of Strata 1601, who continue to maintain and update it and pursue the original values of “Active Lifestyle Living”. 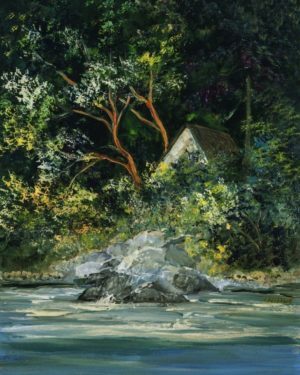 Original Patrick Cottage on Hatchpoint with the Arbutus trees that the community was named after.